11th August 2018 (Sat.) to 15th August 2018 (Wed.) due to Summer Holiday. 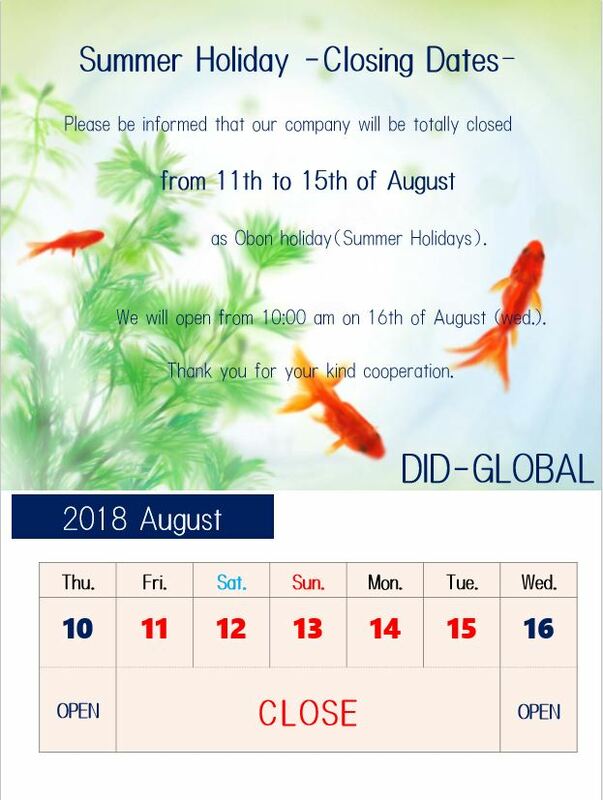 Our office will open from 16th August 2018 (Thu.) at 10:00 am.